Modern organizations are leveraging a cloud-based directory that combines the positives of existing directories, such as AD and LDAP, with the benefits of cloud-hosted infrastructure. This is known as Directory-as-a-Service®. In layman’s terms, Directory-as-a-Service connects users to their IT resources, including devices and applications, from the cloud. Evolving companies understand that the IT landscape has changed. Since the majority of businesses use web-based applications, such as Google Apps (now known as G Suite) and Salesforce, it’s clear that cloud infrastructure is the new norm. Cloud-based directory– there is no on-premise server to run and manage. While DaaS lives in the cloud, it can be connected to the cloud or on-premise. There is no tricky networking required. If your device or application is connected to the Internet, it can authenticate against the cloud identity provider solution. Cross-platform – a modern Directory-as-a-Service supports all major operating systems and device types. Macs are treated as first-class citizens. This safely gives employees the tools they need to be most productive. SaaS – organizations get all of the benefits of software-as-a-service. There is no software to install and host on-premises. Organizations can purchase only what they need and pay on a monthly basis. There’s no expensive licensing and long-term commitments. Secure – modern Identity-as-a-Service solutions embed security into the directory. Admins no longer need additional tools to detect and find compromises of their credentials. A modern directory starts with security and understands that in the modern era, credentials are like gold. DaaS solutions not only work to detect compromises, but they also use a number of techniques to protect credentials, including hashing and encryption. A directory service is critical to connecting employees to their IT resources. Any directory service can alleviate some of the burden. However, in today’s cloud era, a modern directory service – delivered as-a-service – is the new standard. Contact JumpCloud® to learn more about why organizations leverage directory services and how Directory-as-a-Service (DaaS) is solving the challenges of securely operating a directory. 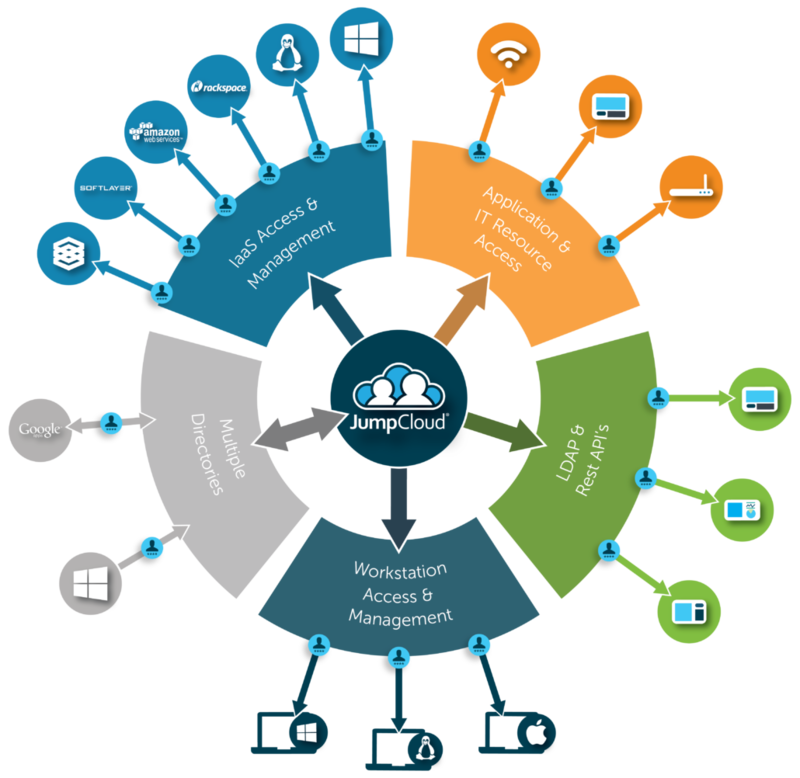 In the meantime, give JumpCloud’s Directory-as-a-Service a try for yourself. Your first 10 users are free forever.